The dream job for many people is to own their own business and be their own boss and, for some, a franchise is the way to reach that goal. If you can think of a business concept, big or small, odds are it’s already available in the form of a franchise. And, while a franchise offers an easy, turnkey way to own your own business with an established history of success, it also requires a significant outlay of cash and plenty of research on your part. So, before you break the bank to buy your franchise business, make sure you know what you’re buying and who you’re buying from. Read the Franchise Disclosure Document, or FDD, (formerly known as the Uniform Franchise Offering Circular, or UFOC) from top to bottom, back to front, inside and out. Then read it again! An FDD is required by the Federal Trade Commission and it’s the document that defines the relationship between the franchiser and franchisee. To the uninitiated, it can be long, boring, and full of legal terminology that’s best deciphered by an attorney. Thus, make sure you get help from an attorney or independent business advisor to make sure you understand every component of the FDD, because this is what will define just about every aspect of your business and your relationship with the franchiser. When you buy a franchise, you’re investing your livelihood on what is basically someone else’s brand. That’s why you should find out everything you can about that company. Consider things like what you get for your business when you buy their franchise. What’s the ratio of support staff to franchises? Is the franchiser more focused on selling franchises than selling their product or services? Check with other franchise owners and get their input on how they’ve been treated by the franchiser. If the franchiser is publicly held, there will be plenty of information available. However, if the company is privately held, you’ll have to dig even further. Remember that even the slightest miscue at the corporate level can drastically affect the brand and your business. Look up consumer satisfaction information. Finally, research the market. Is that new, hot franchise concept an original idea or just a different take on an old fad, and how is that brand perceived in the market place? When you buy a franchise, you’re buying someone else’s model for how to run a business. That means, when it comes to running your business, you have to do it the “franchise way.” While, on the outside, it’s silly to buy a business model then not use that model, many franchise buyers quickly become frustrated when they can’t do things their own way. Remember that FDD? It’s what can dictate everything from the hours you’re open and the thickness of your napkins to how much you spend on advertising and the color of your floors. If you think you can do it better, then that franchise probably isn’t for you. It’s your money, and that means there’s too much at stake for you to find out too late that buying a franchise was a mistake. If there’s anything you don’t like about a certain franchise or franchise agreement, be prepared to walk away! 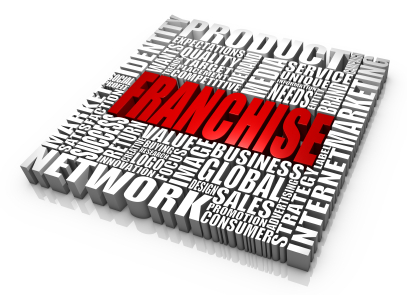 Will monthly franchise fees or defined franchise territories inhibit your ability to grow? Do you really want your favorite hobby or passion to become your business as well? If you have any lingering questions about your ability to profitably operate and enjoy your franchise, then don’t be afraid to walk away until you find the franchise that’s right for you! Buying a franchise is a big step. Before you make the leap, make sure you know what you’re jumping into, who you’re jumping with, and where you might land.